The Kannad Marine 406 MHz EPIRB meets IMO SOLAS requirements when purchased with the Auto housing, making it suitable for all classes of Commercial vessel. Alternatively, it can be purchased with a manual deployment bracket for non legislated use. It has been designed to operate with the COSPAS-SARSAT 406 MHz international search and rescue system. The unit can be activated automatically by immersion in water, or manually by following the activation instructions printed on the unit. The Kannad Marine 406 MHz EPIRB meets IMO SOLAS requirements when purchased with the Auto housing, making it suitable for all classes of Commercial vessel. Alternatively, it can be purchased with a manual deployment bracket for non legislated use. It has been designed to operate with the COSPAS-SARSAT 406 MHz international search and rescue system. The unit can be activated automatically by immersion in water, or manually by following the activation instructions printed on the unit. 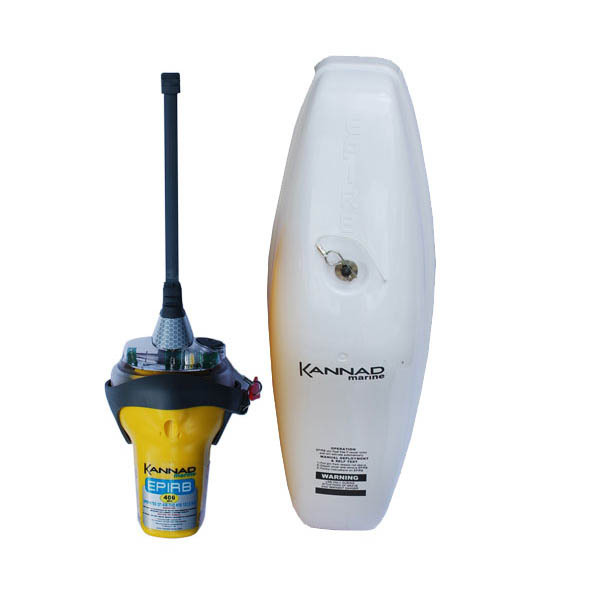 The new Kannad Marine EPIRB has a 5 year battery life and meets the demands of both commercial mariners and recreational boaters.